Sydney Thunder is a club for all people of the Thunder Nation. Sydney Thunder exists to be a loved club that inspires and unites our Thunder Nation. 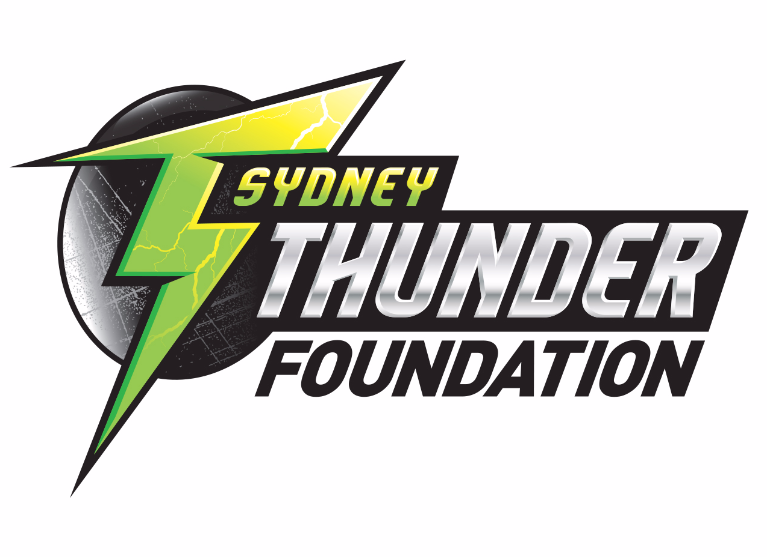 The Thunder Foundation is the philanthropic arm of Sydney Thunder and it ensures the growth and sustainability of a wide-range of community initiatives. The Thunder Foundation reflects Sydney Thunder's commitment to help make real and meaningful social change, both locally and overseas. Donations to the Thunder Foundation also help ensure the sustainability of these influential community initiatives. This summer, Sydney Thunder has helped to provide 63,297 meals to those in need across the Thunder Nation. Through cricket, Sydney Thunder is able to make a real and meaningful contribution to society. Supporting Australian families has been a core mission of our business a our contribution to the Thunder Foundation and Oz Harvest further sustains this notion. Hope I can help those with less but aspiring to more. Sydney Thunder Girls & Boys keep up the good work!!! Great cause, and Go Thunder!